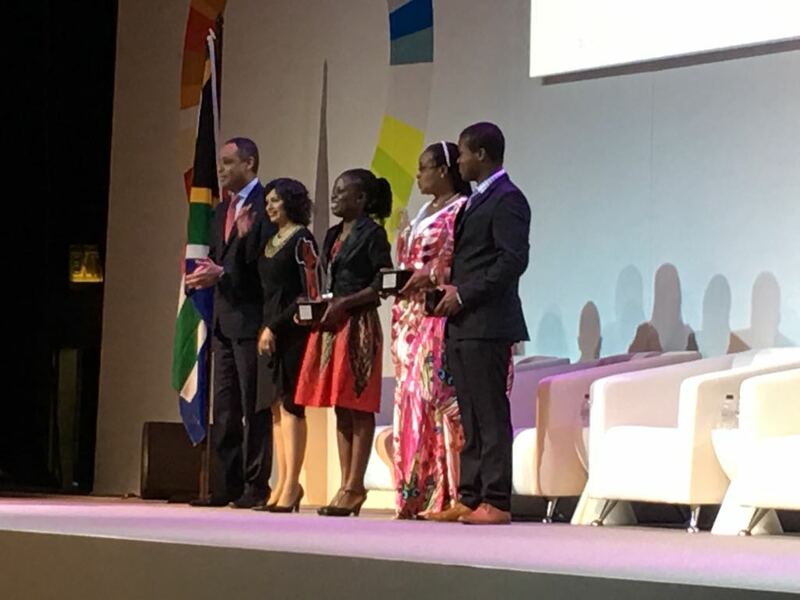 The award was established by Johnson & Johnson to help create localized health care solutions for the people of Africa and help promote a growing innovation ecosystem. 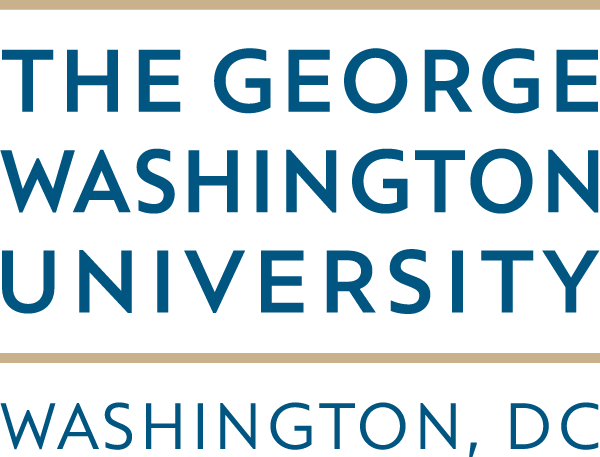 This prestigious award recognizes scientists whose discoveries have made, or have the potential to make, significant contributions towards improving human health. 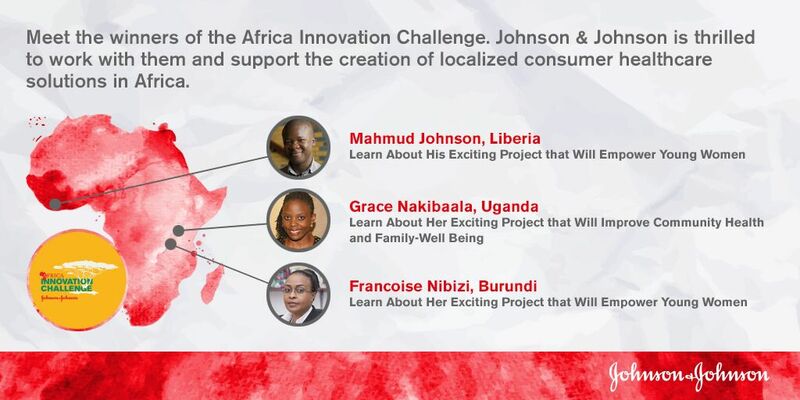 The Africa Innovation Challenge is part of the company’s comprehensive approach to collaborate with and support Africa’s vibrant innovation, education and health systems institutions. Pedal Tap (Uganda) -providing non-touch water taps to reduce the spread of infection and water wastage, and improve family well-being in Uganda. 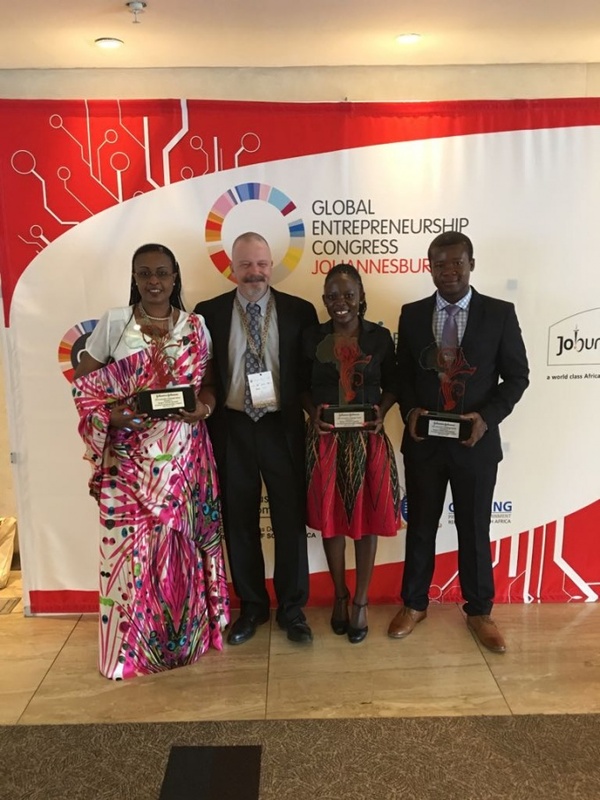 Project Agateka from Burundi-providing reusable sanitary pads to help empower young girls. 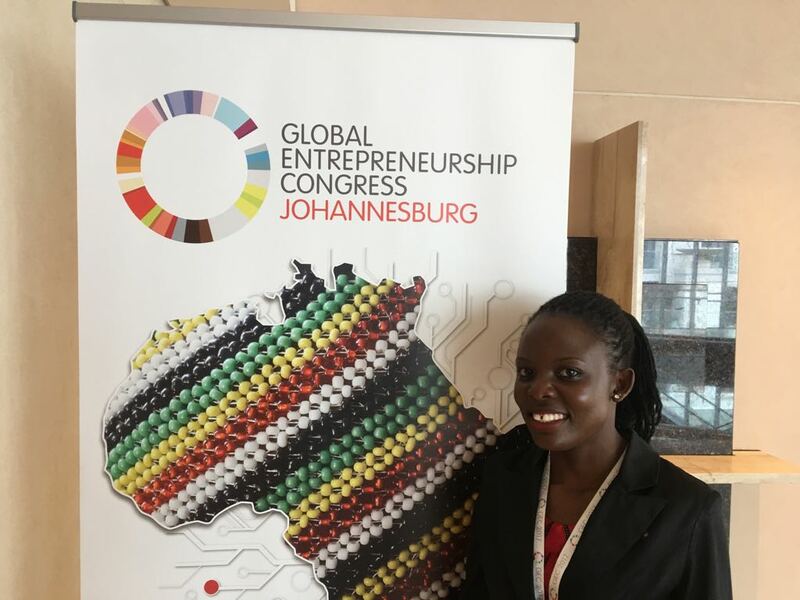 Grace Nakibaala a graduate architect by profession is the brain behind the Pedal Tap innovation at Makerere University School of Public Health-ResilientAfrica Network (RAN) www.ranlab.org. Grace works with a passion for Architectural and cultural suitability and infection prevention and control in both community and occupational health leveraging her over 5 years experience researching, working and innovating in that line. PedalTap innovation is a retrofittable affordable hands free foot operated water dispensing system. It is designed to reduce the growth and frequency of potent and infectious diseases spread at water points in public spaces. 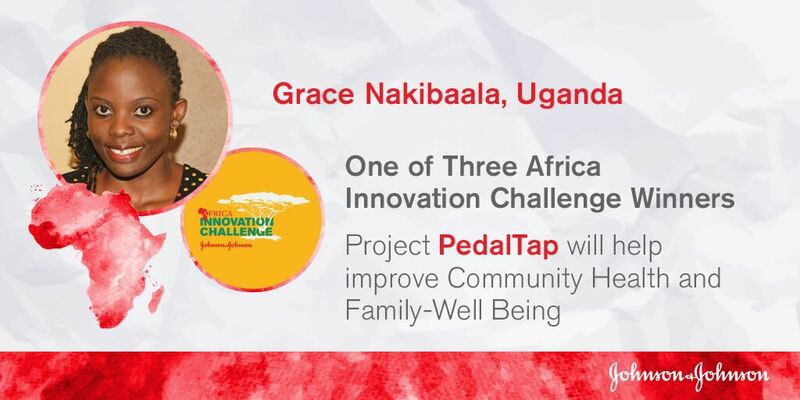 The Pedal Tap is currently being piloted at Uganda’s National Referral Hospital, Public schools, washrooms and offices. ‘As an innovator, it is helpful to have someone to hold your hand and walk the journey with you, help you to scale your approach or innovation. The dream and goal of the Pedal Tap Team is to see impact in the communities and partners including ResilientAfrica Network (RAN), Makerere University and Johnson and Johnson among others are keenly offering the support directed towards realizing our goal. PedalTap is launching!’ shared Grace.